The only series of step-by-step guides to succeeding in the skilled trades and achieving the American dream. What does a career as an electrician look like? Why should you consider becoming an electrician? 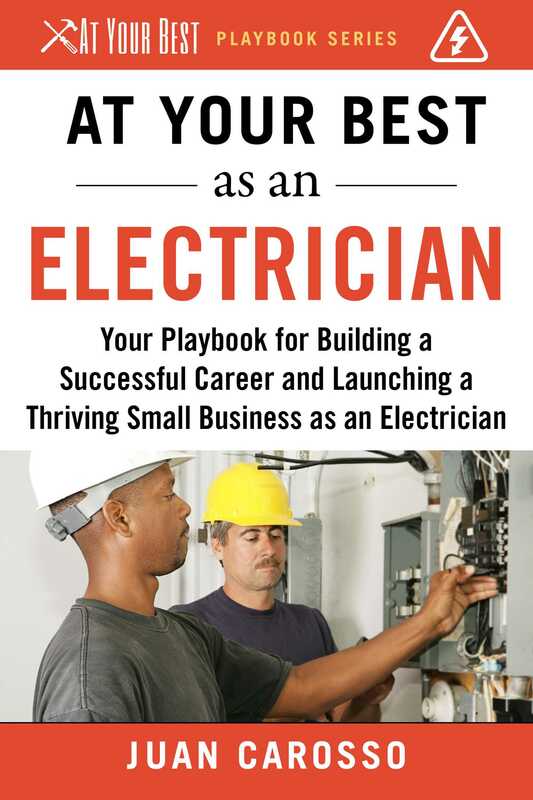 How do you become a successful craftsman as an electrician? How much can you make as an electrician? What are your career options once you become an electrician? How long does it take to be successful at each stage in a electrician's career? How and where do you find work as an electrician? What does it take to strike out on your own? What does it take to launch and build a successful small business? At Your Best is the only step-by-step handbook to finding if a career in the trades is right for you, educating yourself and earning the proper certifications, establishing yourself as an excellent apprentice and journeyman in the industry, and moving on to start your own small business in the trades. At each step of the way, your At Your Best playbook provides the information, recommendations, outside resources, and concrete actions needed for taking the next successful step in You, Inc. Whether you are beginning your first career, changing careers, or ready to move up and start your own business as a carpenter, plumber, HVAC/R tech, or other tradesman, this is the book that will tell you how. There currently over 6.5 million unfilled jobs in the skilled trades in the US. Despite being well-paying and secure, these jobs remain open because enough qualified candidates with the skills, attitude, and experience required do not exist. Moreover, plenty of opportunity exists for established tradespeople to start their own business, but they have no guidance. The At Your Best Playbooks series changes that. If you or someone you care about wants to live the American Dream, has a strong work ethic, and can follow simple directions, Juan has given you a roadmap to making that dream come true. In his phenomenal At Your Best series, he has carved out in painstaking detail an easy-to-follow plan to tap into one of over 6,000,000 well-paying jobs out there, that go unfilled every year. This should be a must-read for everyone already in, or about to enter the workforce.